Another narrow escape: a cyclist appears as if out of nowhere and suddenly crosses the road. Distracted by the search for somewhere to park, the driver is powerless to avert what appears to be an inevitable disaster. 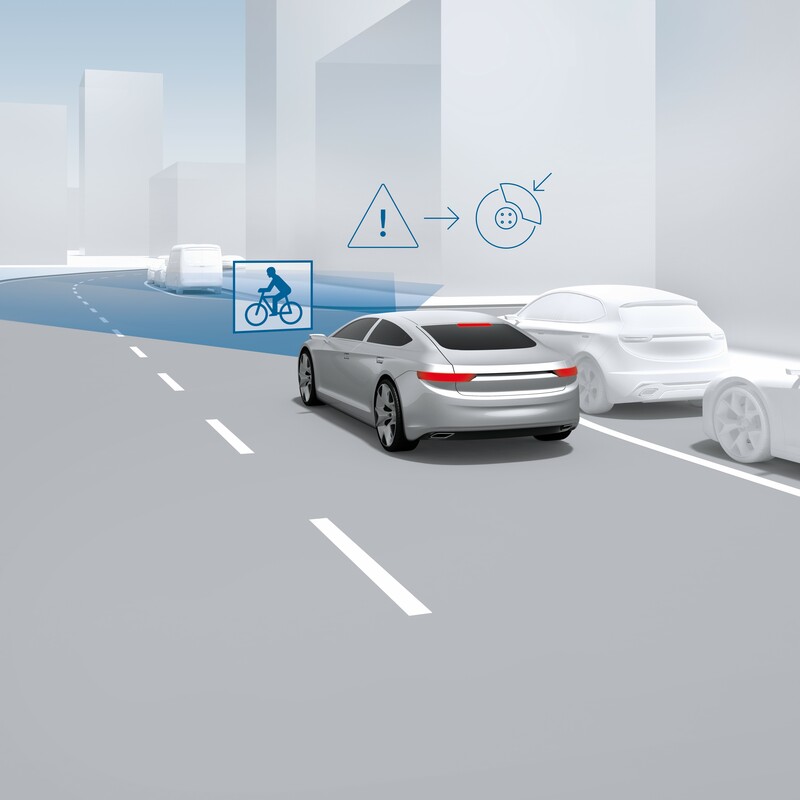 Yet Bosch’s new emergency braking system with cyclist detection prevents any serious consequences, automatically bringing the car to a full stop from 40 kph. Everyone makes it through the incident, shaken but unharmed. As soon as the emergency braking system’s radar or video sensor detects an imminent collision, the Bosch iBooster initiates full braking in just 190 milliseconds – less time than it takes to blink twice. “Driver assistance systems are the next step along the path toward accident-free driving,” says Bosch board of management member Dr. Dirk Hoheisel. “These electronic assistants are always vigilant and, in emergencies, they respond more quickly than people can. They provide support just where drivers need it – in busy city traffic.” Emergency braking systems are one of the most useful assistance systems, particularly when it comes to responding to cyclists and pedestrians, the most vulnerable of road users. In Germany, bicycles are involved in one-fourth of all accidents resulting in personal injury. According to the German Federal Statistics Office, 393 people were killed in such accidents in 2016 alone – roughly 12 percent of the country’s total road fatalities. Some two-thirds of these accidents involve a car. 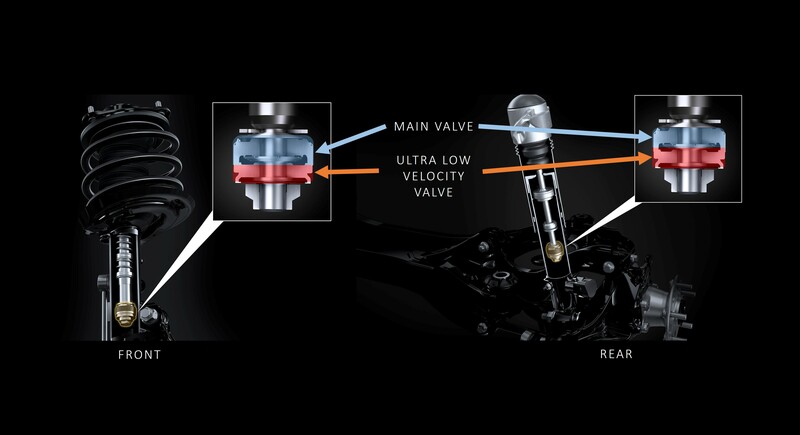 Equipping every car in Germany with an emergency braking system that can detect cyclists would prevent almost half (43 percent) the bicycle/motor vehicle accidents that result in personal injury, or at least mitigate their severity. 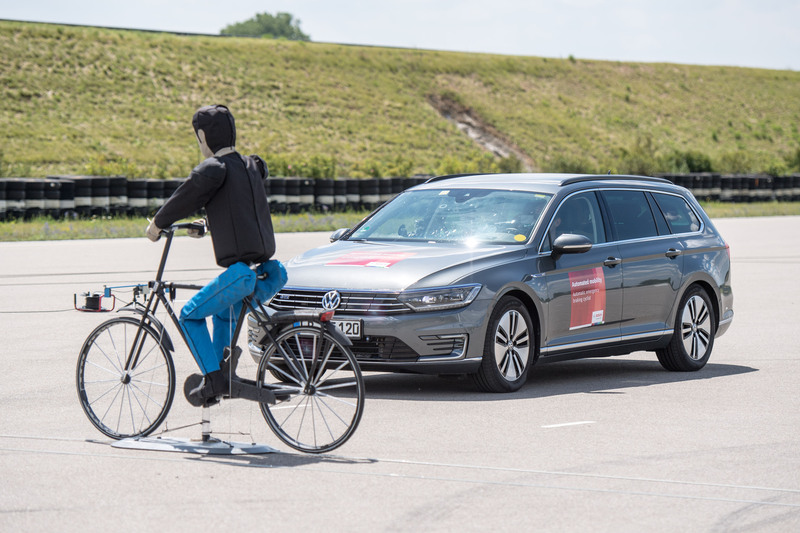 “An emergency braking assistant may reduce braking distance by the few crucial centimeters that can mean the difference between life and death,” says Gerhard Steiger, president of Bosch’s Chassis Systems Control division. The European New Car Assessment Program, or Euro NCAP, has also recognized the importance of emergency braking systems for road safety. Starting in 2018, the consumer protection association’s star rating system will include emergency braking with cyclist detection. Emergency braking systems with pedestrian detection have been part of the rating system since 2016. In light of rising volumes of road traffic, driver assistance systems offer the full package – and hold the key to increased road safety. They keep cars in their lanes, warn of obstacles in the blind spot when changing lanes, provide support for pulling into and out of parking spots, and help maintain following distance, to name just a few examples. Bosch is constantly honing the technology behind these driver assistance systems: sensors supply increasingly precise images of the car’s surroundings, and their interaction with actuators, such as braking and steering, is steadily becoming faster and more efficient. In this way, driver assistance systems are not only preparing the path toward automated driving, but are already delivering stress-free and relaxed driving. No wonder, then, that the spread of electronic assistants is picking up. A Bosch survey found that half of all new cars (52 percent) in Germany have at least one driver assistance system on board. 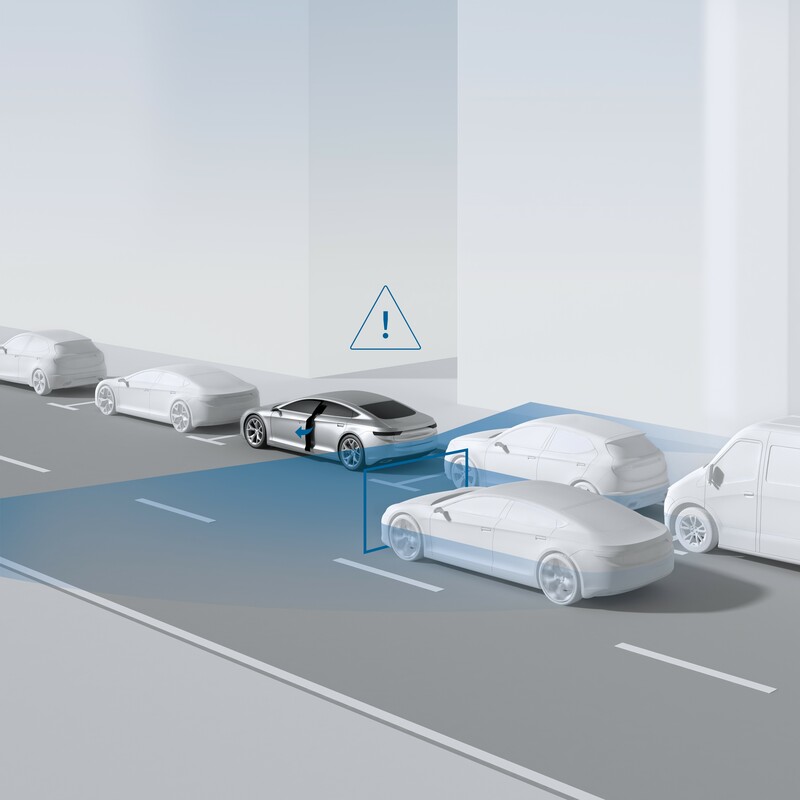 The trend is toward consolidating multiple assistance functions on one sensor, as demonstrated by car exit warning, a new function developed by Bosch. Bosch’s rear mid-range radar sensors, which monitor lane changes on the freeway, can also keep city drivers from making a dangerous mistake: after parallel parking at the curb, drivers often get out of their cars right away – without looking over their shoulder. This has led to countless cyclists getting painfully up close and personal with car doors as they are knocked unceremoniously to the pavement. But Bosch’s car exit warning can help. It is active for all car doors and warns the occupants – even several minutes after the ignition has been turned off – before they carelessly get out of the vehicle. Mounted to the left and right of the rear of the car, the Bosch sensors monitor traffic. Within a 20-meter radius, the sensors can detect other road users who are approaching from the rear, or who are already to the side or rear of the car, and promptly warn the driver before they open their door.